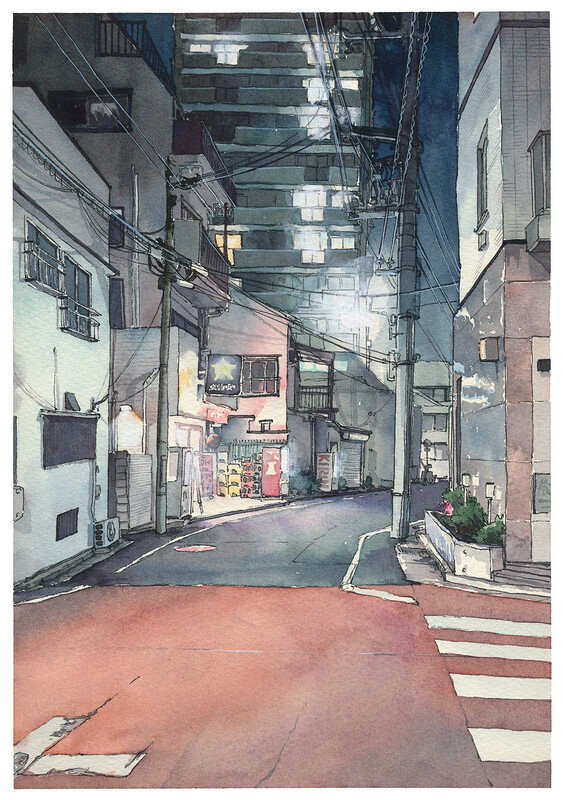 Series of watercolor illustrations depicting night streets of Tokyo. 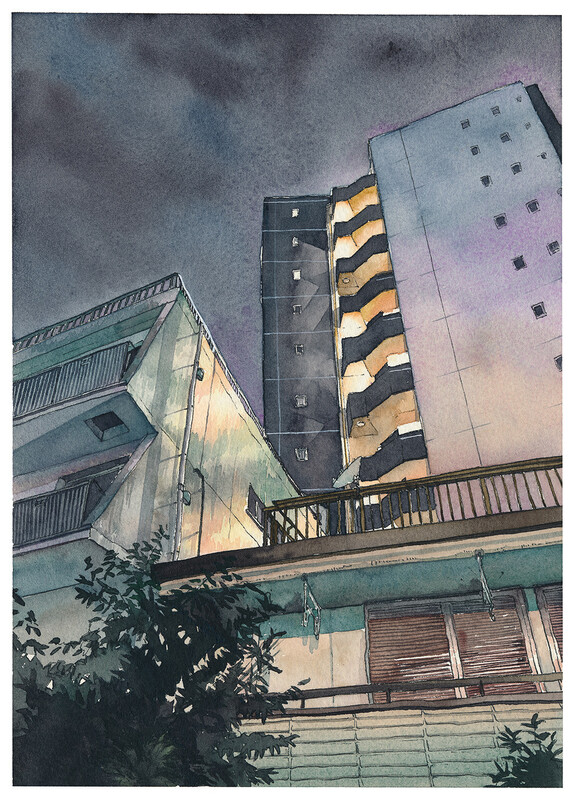 A series of ten watercolor illustrations portraying night Tokyo streets that I started painting in 2017. 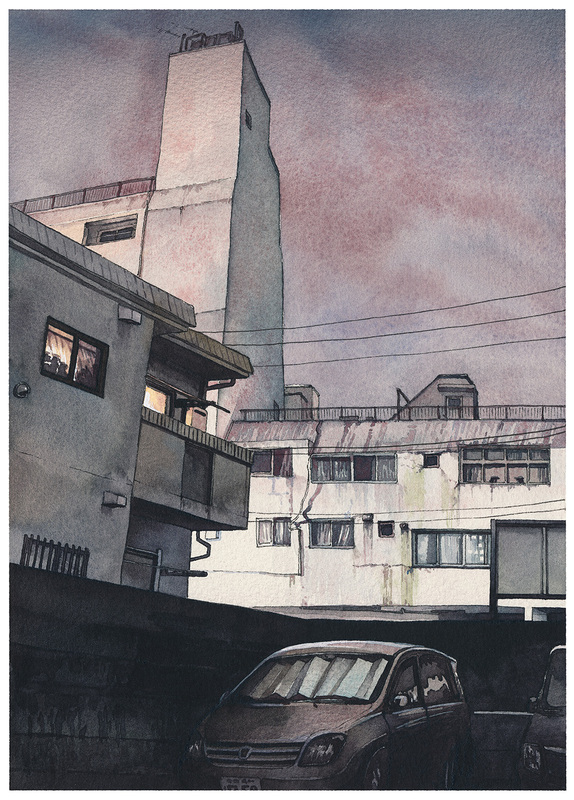 Painting in between other projects and commissions it took me more than a year to finish this project. 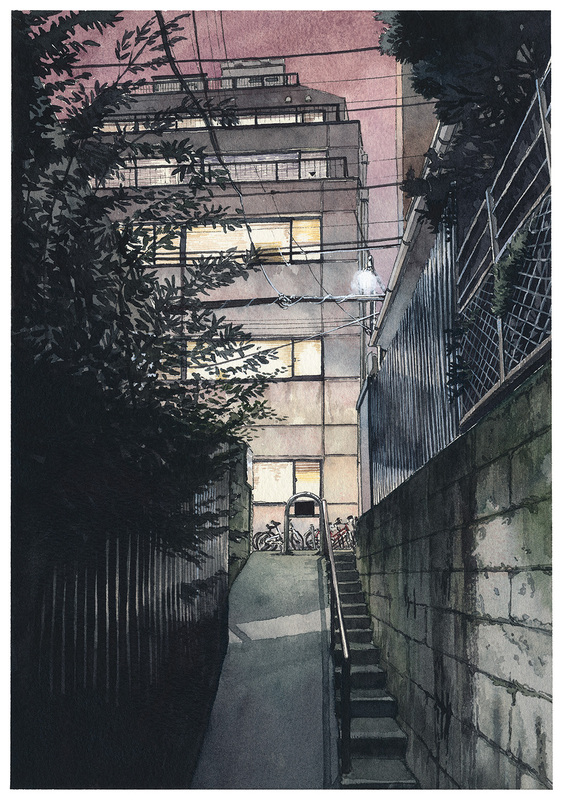 Instead of going for the obvious - cool looking, new built high rise offices I wanted to depict the night scenes of Tokyo that are not so widely seen - back streets, empty alleys, tall buildings and empty parking lots. 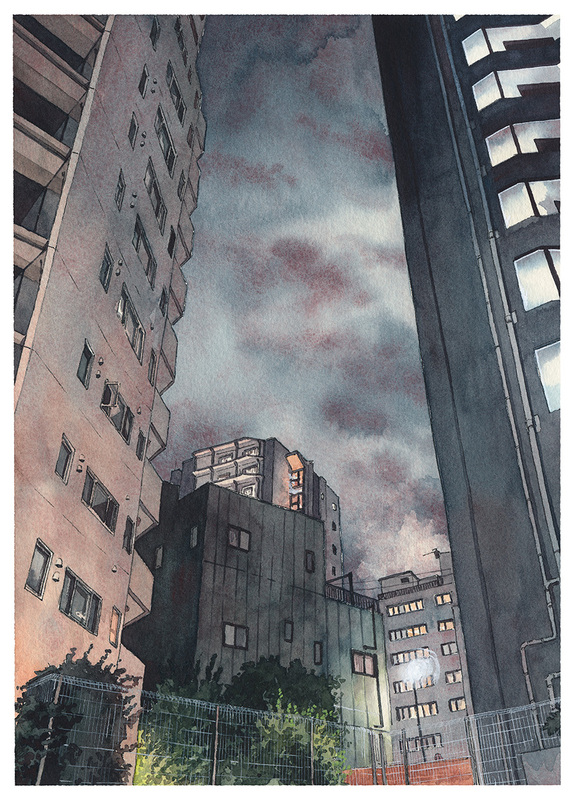 Mostly brightly lit (even the sky is never just black) with no people, those places have a weird eerie atmosphere that I wanted to recreate. 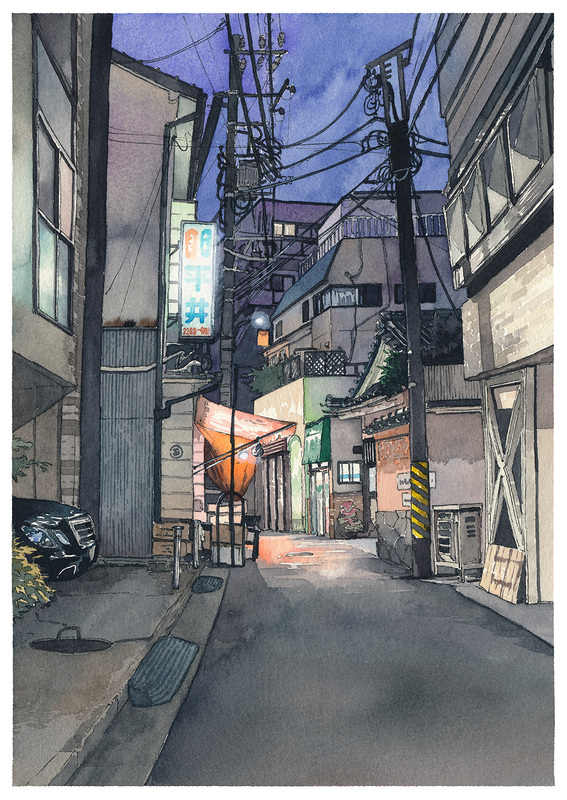 This series follows a path from Kudanshita to Waseda through Kagurazaka. 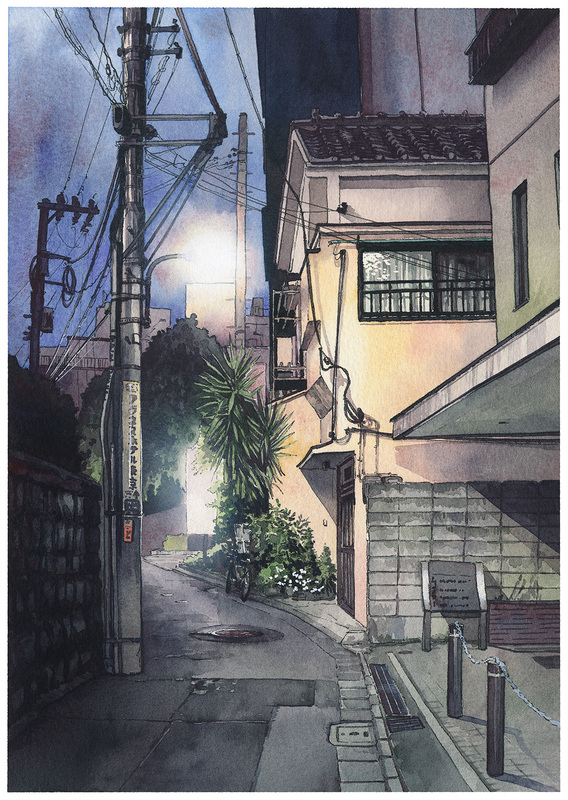 We walk a lot with Kana - especially in the late evenings when it’s cooler and we finished the day’s work. 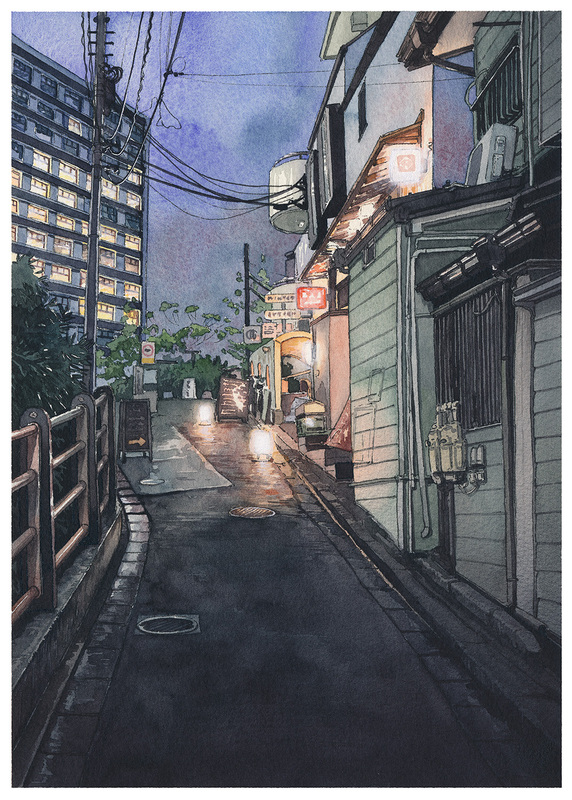 I took a lot of reference photos of interesting night scenes when we were still living in Tokyo’s Waseda and used them to make this series of paintings. Additionally, I used the airbrush in some of the later pieces to get some additional depth and shadows. 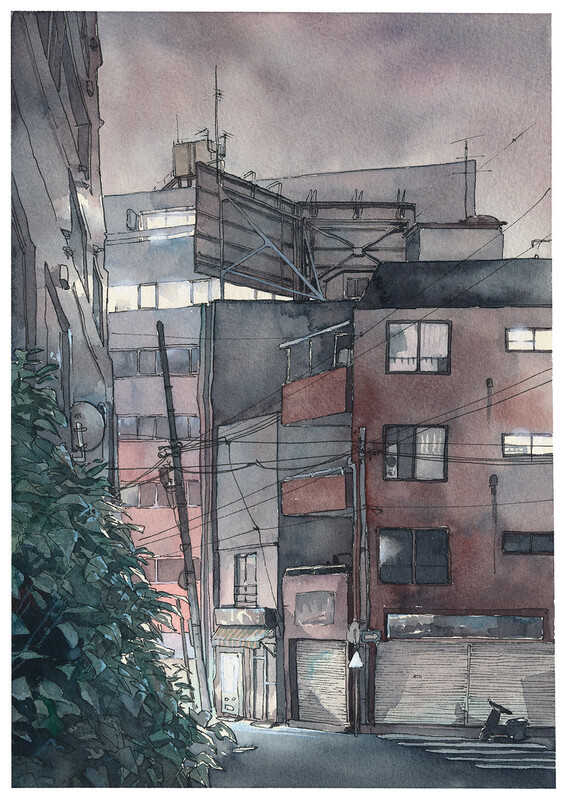 I’m showing more about this technique in the making-of videos. 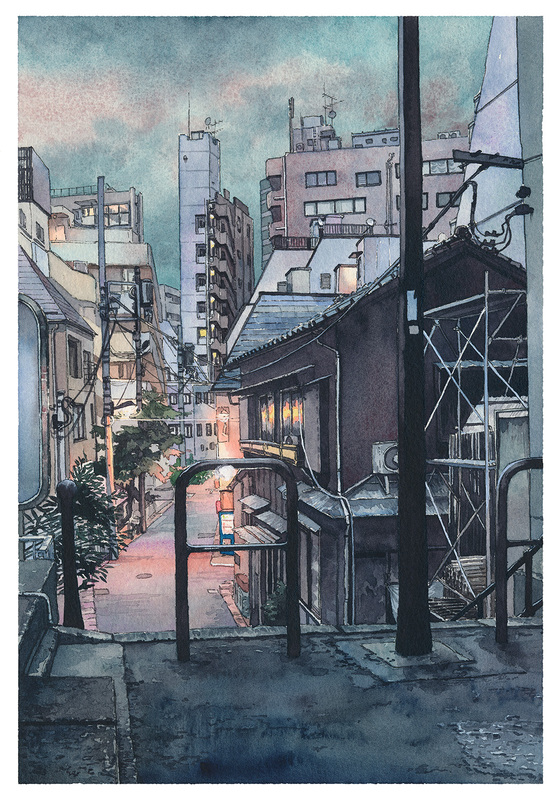 All the illustrations from this series are available as prints on my Society6 store in multiple sizes and with some additional options (frames, printing on canvas etc. ).